What is Certified Nursing Assistants (CNA)? What is Licensed Practical Nurse (LPN)? What is Register Nurse (RN)? What is Bachelor Science in Nursing (BSN)? What is Master Science in Nursing (MSN)? With the constantly changing and increasing requirement for health care services, West Virginia is in dire need of trained nursing professionals. Significant area vacancies affect most of the states. A critical point is likely to be reached when a large portion of nurses retire. 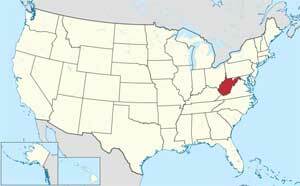 If a career in nursing has been calling to you and you have a desire to help others, it is an excellent time to consider options in West Virginia for nurse schools and nursing programs. It’s a very rewarding career both personally and financially. According to the West Virginia State Board of Nursing (BON), LPNs make up roughly 27% of the nursing workforce but their comfort score puts them near the bottom nationwide. LPNs are essential for proper patient recovery and care. The LPN program is one year and includes hands-on experience. Once you have graduated, you can write the NCLEX-PN exam. On a daily basis a LPN can expect to perform many tasks including performing diagnostic procedures, monitoring IV lines, bathing and feeding, administering medications, and monitoring fluid output. You could also be responsible for taking patient measurements and performing other duties that are assigned to them by either an RN or physician. There are 20 accredited nursing schools throughout the state. Two forms of the RN degrees are recognized by the West Virginia State Board of Nursing. You can either take the Associate Degree in Nursing (ADN) program which is two years or the more intensive Bachelor of Science in Nursing (BSN) program that takes four years to complete. Either degree option will allow you to write the NCLEX-RN exam. RNs are a vital component to patient care and perform many duties, including inserting IVs, treating medical emergencies in varying areas such as geriatrics, surgery or maternity, patient record keeping, supervising both CNAs and LPNs and giving injections. You may also be required to complete diagnostic testing procedures, administering medications and performing CPR. In general, there are more options available to graduates who hold a BSN as opposed to an ADN. Online degree programs give you the flexibility to begin, or obtain career advancement goals in your nursing career. All of this is completed at your pace without having to attend school. 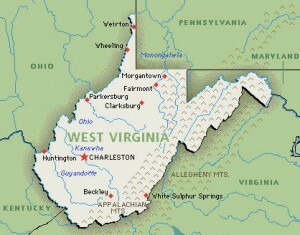 Many options are available in West Virginia for nursing degree programs. Some of these include CNA, LPN, LPN-RN, LPN-BSN, RN-BSN and BSN-MSN. It is recommended that students check with the BON to make sure the program is accredited properly. How Do I Become a Nurse?